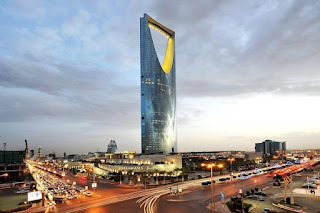 Dear Friends RAFA International is recruiting for one of the largest Contracting company in Kingdom of Saudi Arabia 1. Assistant Admin - 3 Positions Saudi Nationals Male Only Salary Range 7,000 SAR to 10,000 SAR Experience 3 - 4 Years+ (ARAMCO Projects Experience) 2. Vendor Relationship Manager (Procurement/Contracts) - 1 Nos All Nationalities Can apply - Local Iqama Transfer Open Salary - to be decided as per experience at the time of interview Experience 15 Years+ 3. Supply Chain Manager (Contracting Company Experience Must) All Nationalities Can apply - Local Iqama Transfer Open Salary - to be decided as per experience at the time of interview Experience 15 Years+ 4. Senior Project Manager (Contracting Company Experience Must) Preferred Jordan Nationality (Any Nationalities Can apply) - Local Iqama Transfer Open Salary - to be decided as per experience at the time of interview Experience 15 Years+ 5. CEO (Chief Executive Officer) All Nationalities Can apply - Local Iqama Transfer Open Salary - to be decided as per experience at the time of interview Experience 15 Years.